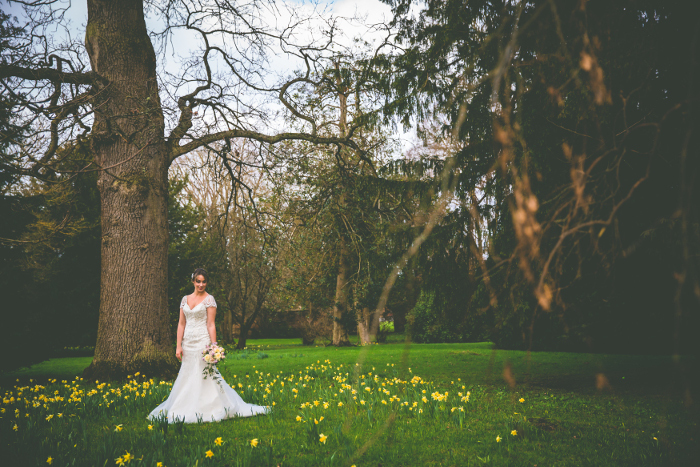 Featuring a pale pink palette coupled with gold accents, this spring themed wedding shoot was a joint effort by a group of Surrey, Hampshire and Berkshire suppliers. 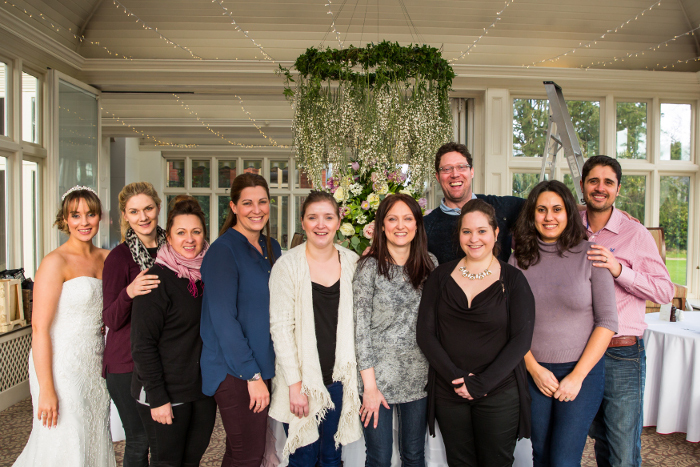 Gilly Keat from Amore Star Events organised the shoot, and here she discusses the detail behind the pictures. 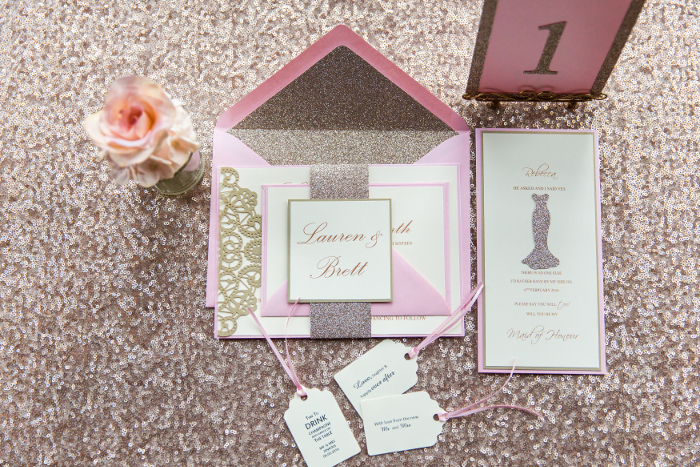 Pale pink and gold sparkle frosty elegance to reflect spring 2016. 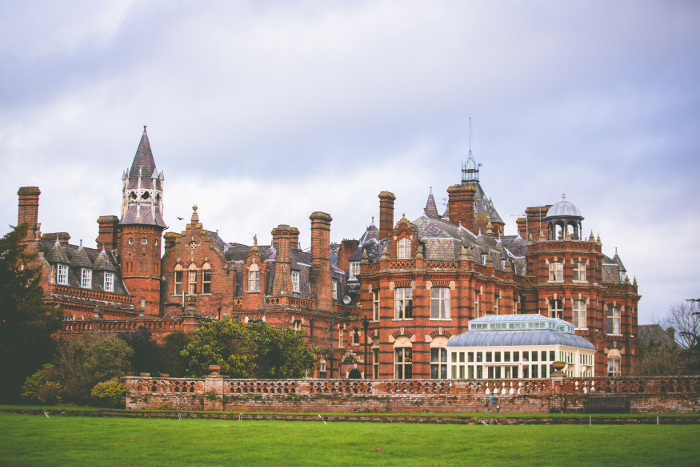 The Conservatory at The Elvetham Hotel in Hampshire has the whole package. 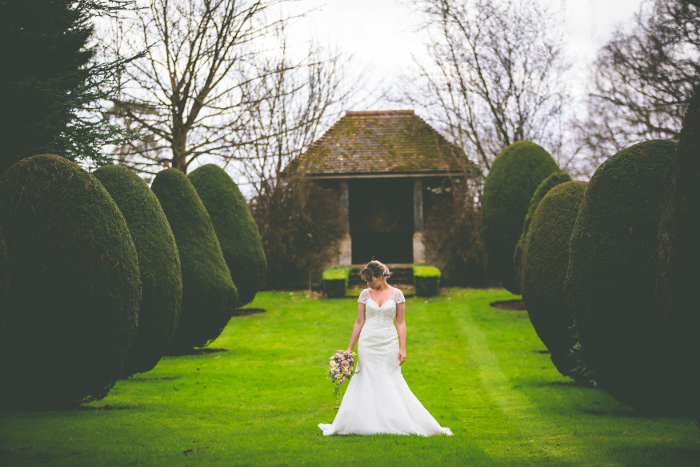 Steeped in history, drenched in natural light and with views around the stunning grounds, it is the perfect place to hold any celebration. 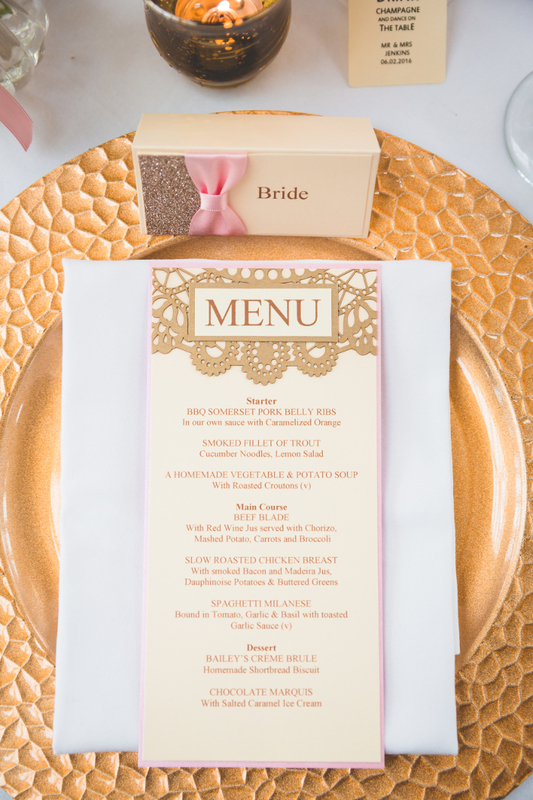 This spring, it played host to our frosty pink and gold themed styled shoot where our wonderful team of wedding professionals collaborated together to create elegant bridal inspiration. Our tablescape was put together by the wonderfully talented ladies at White Lilac Flowers. 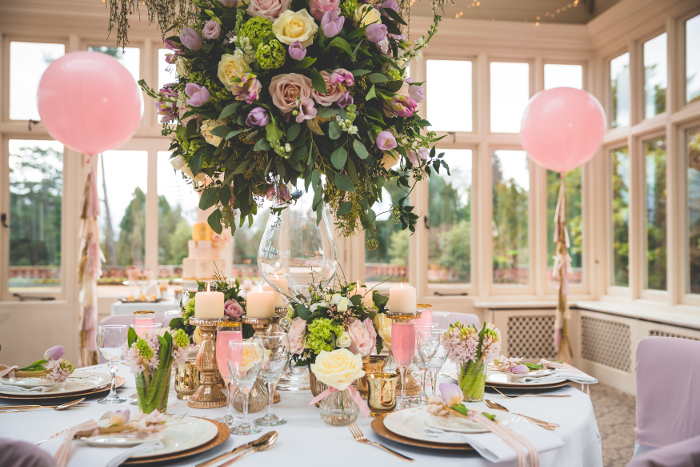 Keeli and Jade pulled together ivory and pastel pink avalanche roses, dusky dink hyacinths, white jasmine and other spring flowers and adorned the table décor with gold tea lights and mini vases punctuating a giant floral centrepiece. Suspended above the table, was a beautiful angel’s halo – created with willow, ivy and jasmine with clusters of white scented genister hanging from the natural hoop. 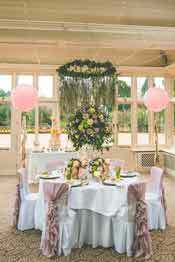 Suspended floral displays are a key wedding trend for 2016 and something that we’re increasingly seeing more of. 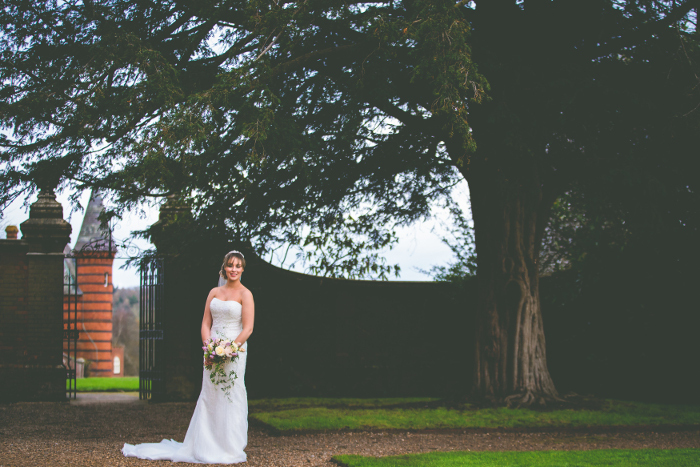 What kind of look did you want to achieve with the make-up, hair and outfits for the bridal model? 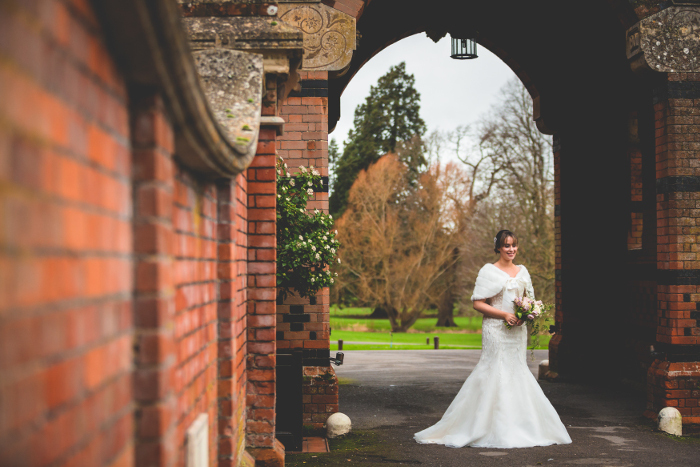 For the first bridal look, our lovely model ‘bride’ Yasmin, wore a stunning Justin Alexander gown (8846) with intricately beaded sleeves and bodice which was provided by Amaryllis Bridal Wear. The ever-talented Natasha of Natasha Wiggins created an elegant chignon and kept the make-up dewy and neutral. 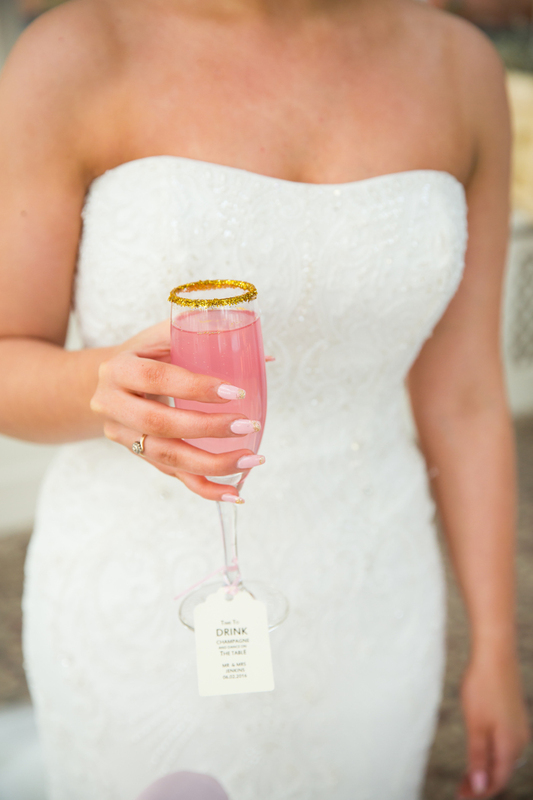 She completed the effect by painting Yasmin’s nails a very pale pink with a gold glitter overlay – a simple yet effective way of tying your bridal look in to the overall concept of the day. 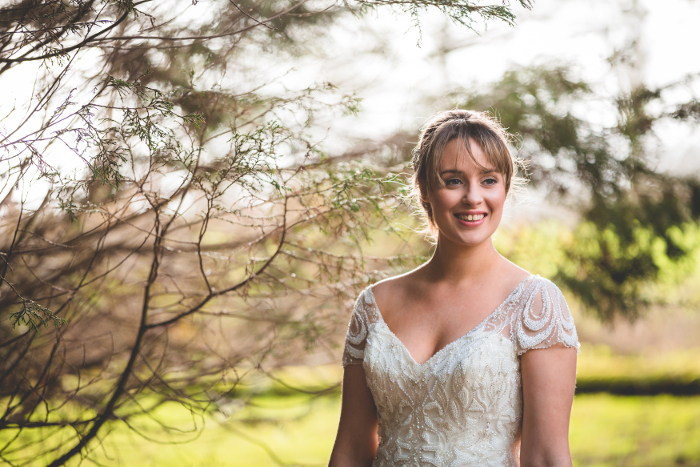 The second look saw Yasmin wearing another stunning Justin Alexander gown (8826) – this one, strapless with delicate beading. 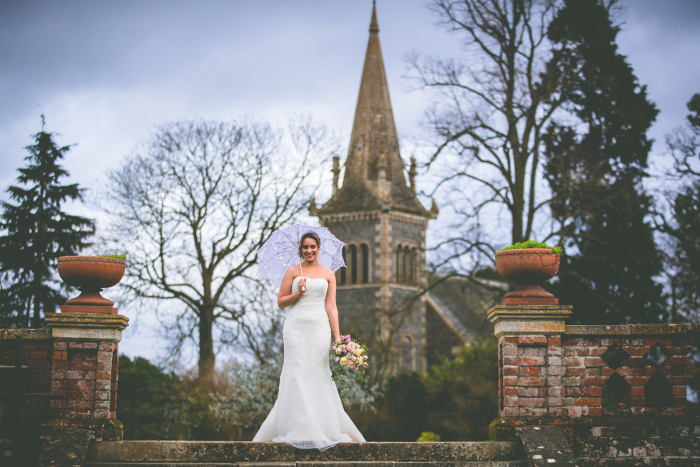 Natasha kept the hair simple yet stylish and accessorised the look with a tiara and beaded veil. 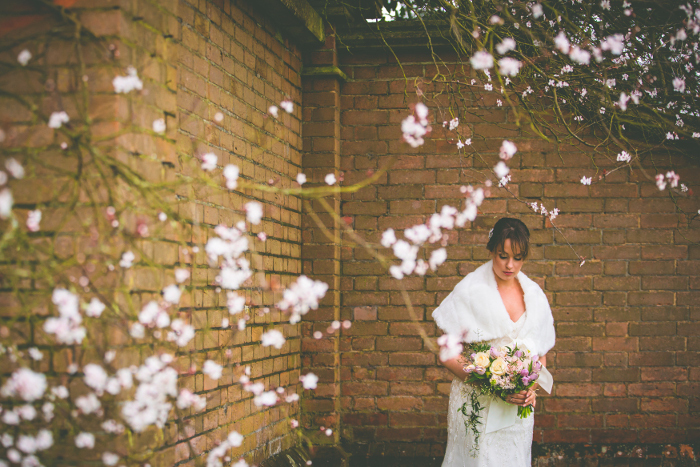 Yasmin held a bouquet filled with pastel coloured rai parrot tulips which had been delicately painted slightly gold by White Lilac to give that extra sparkle for the bride. 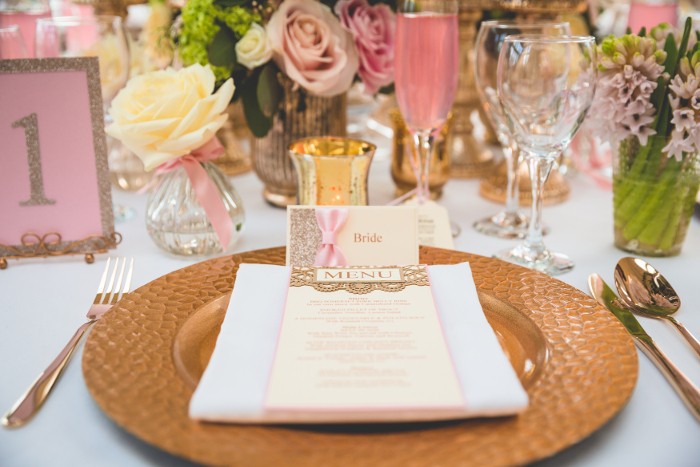 I styled the table with gold charger plates, gold cutlery and glitter rimmed champagne flutes filled with pink and gold sparkly fizz. 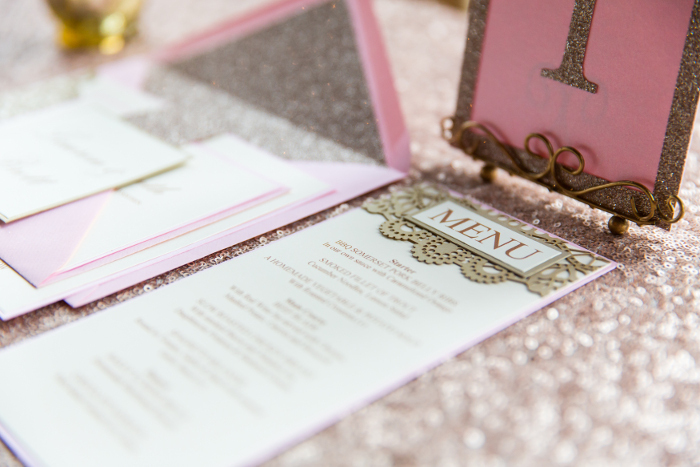 Samantha from Envite provided us with our beautiful pale pink and sparkly gold stationery suite, the perfect addition to your celebration. 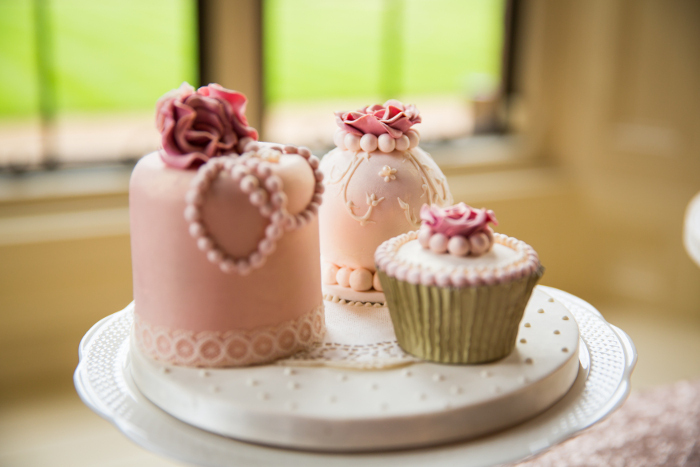 Nicky from Sitting Pretty, finished the look by adding simple white chair covers with dusky pink ruffles – a twist on the traditional bows and ties that we’re used to seeing. They also look fabulous on simple Chiavari chairs too. 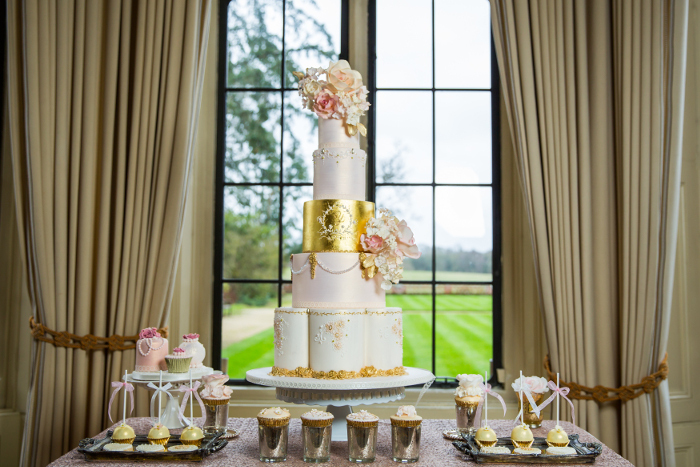 The amazing Yevnig, from Unique Cakes by Yevnig designed and created the most beautiful five-tiered pastel pink, white and gold wedding cake, which had been embellished with jewels, pearls, intricate designs and floral adornments - truly enhancing the elegance of our shoot. 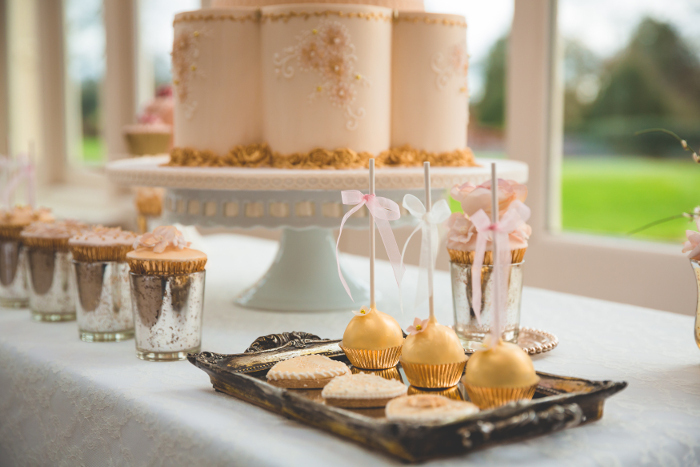 She also provided gold cake pops, exquisite biscuit favours, mini cupcakes and cakes and nestled them upon a champagne coloured sequin tablecloth – creating a too-beautiful-to-touch (let alone eat!) dessert table. 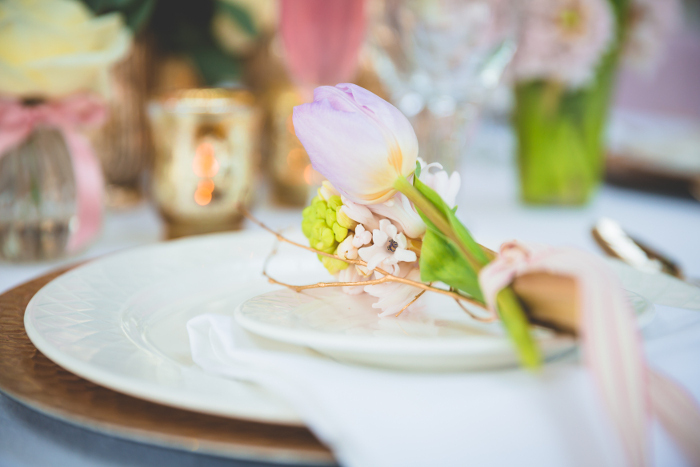 Mirroring the main table using a variety of textures, heights and levels, we hoped to inspire potential brides with another exciting trend for 2016. Never be too afraid to think outside the box and look at traditions in a slightly different light. Bubblegum Balloons also provided us with two giant dusky pink balloons which were decorated with pink and gold tassels, ensuring we kept a playful element within the overall elegant feel of the day. The balloons also provided our desert table with an extra dimension within the conservatory – they’re incredibly versatile and can be used in a variety of ways, from décor to props for your big day. How did the photographers capture the theme of the shoot? 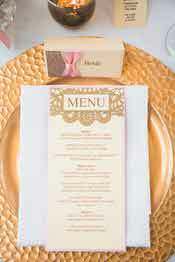 Jacques from Real Simple Photography and Matt from Unique Wedding Productions captured the day to perfection. 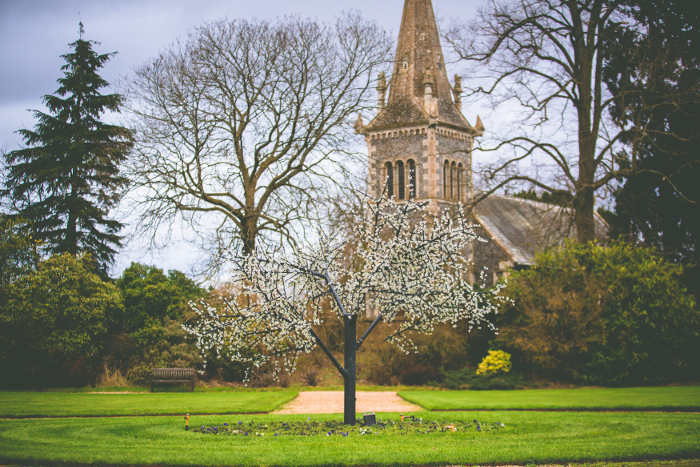 They chose beautiful parts of the grounds, including a carpet of early spring daffodils and a blossom tree to truly encapsulate the spring feel. BTS Elvetham Shoot from Unique Wedding Productions on Vimeo.